Just received the new Cyclorama Book by Jim McGurn & Mick Allan. 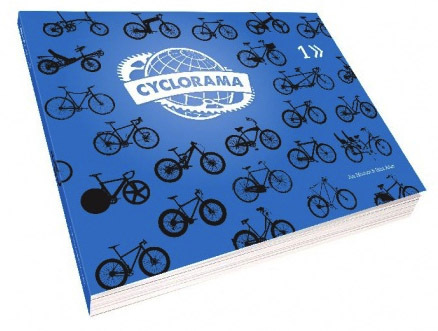 This 164 page publication is a mix of high quality photography and editorial on world cycling issues and takes a close look at virtually every type of bike imaginable. It’s an honour to have the Family Truckster featured on the Canada page which also includes a piece about human powered vehicle record holder Sam Whittingham. You are currently browsing the Bicycle Forest Blog weblog archives for July, 2012.